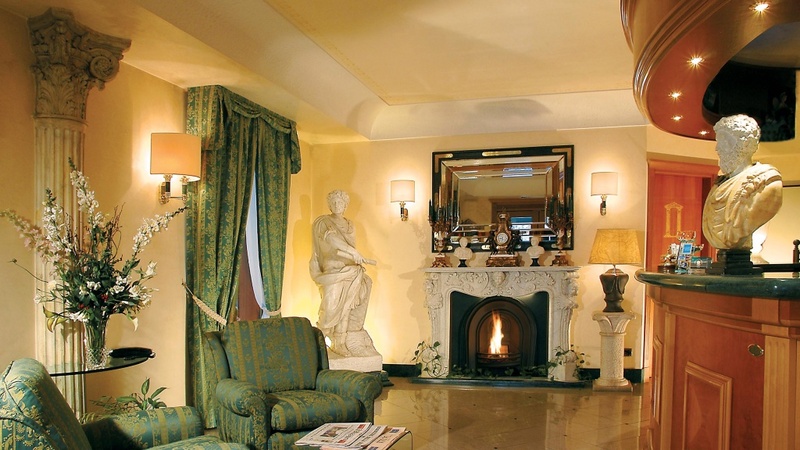 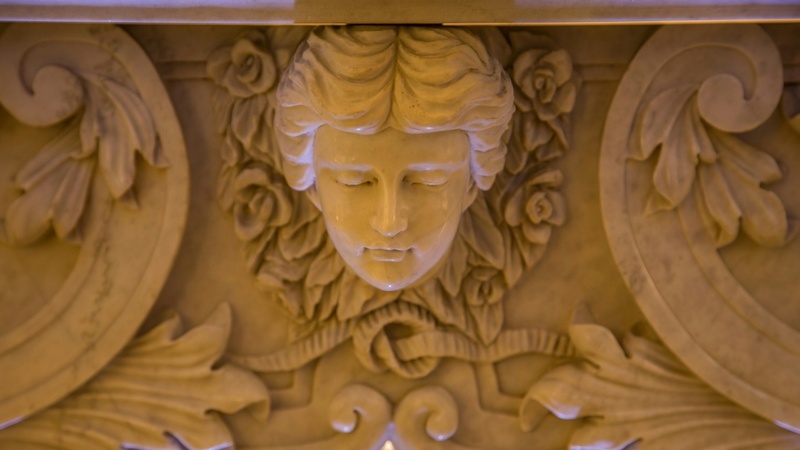 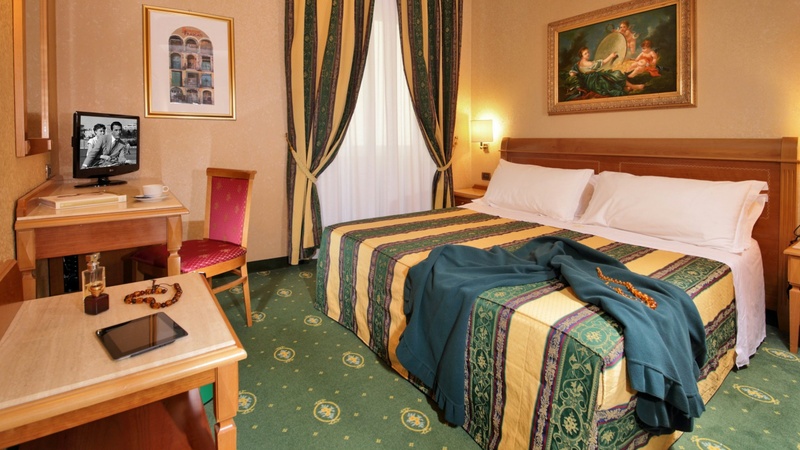 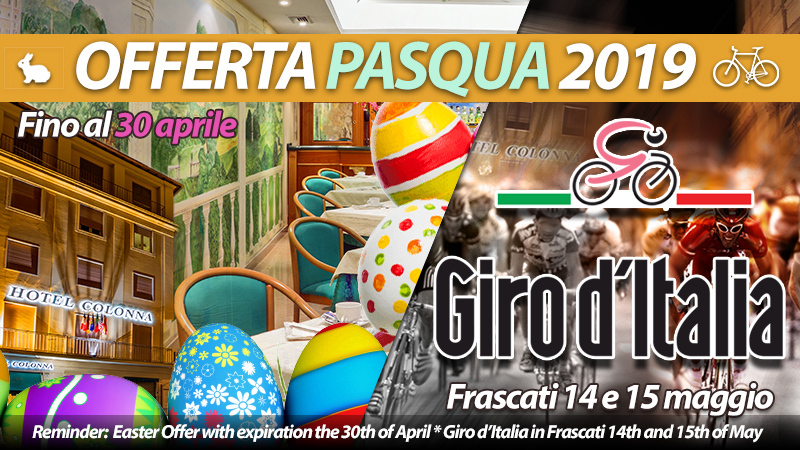 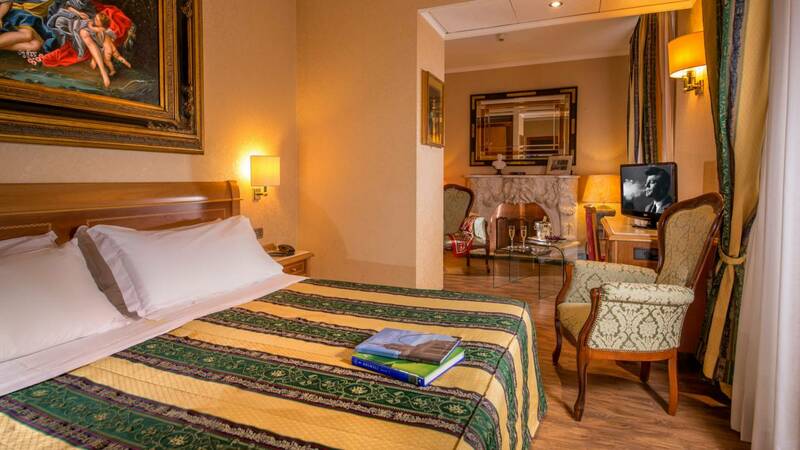 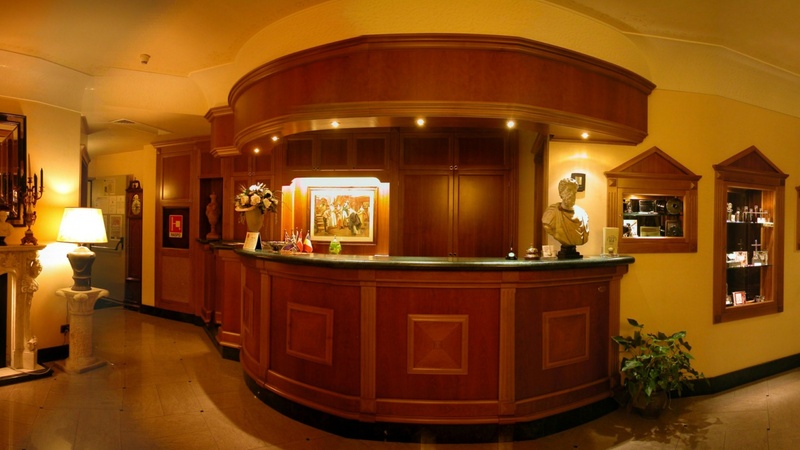 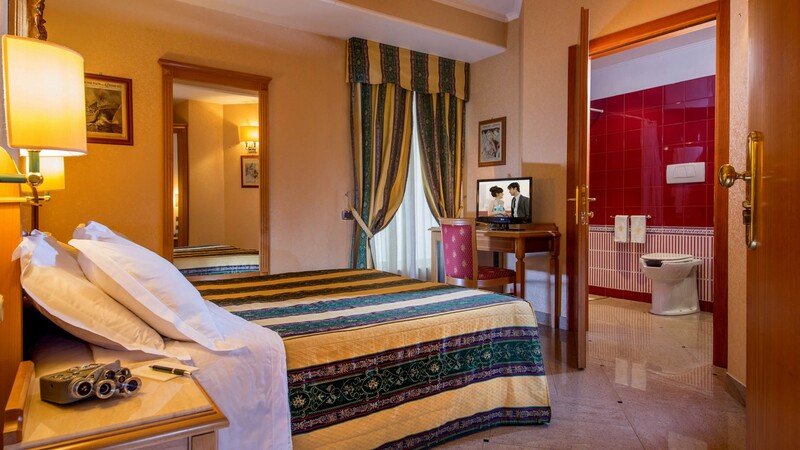 Located in a historic building in the center of Frascati, the Hotel Colonna has twenty rooms, elegantly furnished in empire style, managed and controlled by our computerized systems, in order to meet the need of both tourists and businessmen, and give them a nice sensation of relax in the magic scenery of the Roman Castles area. 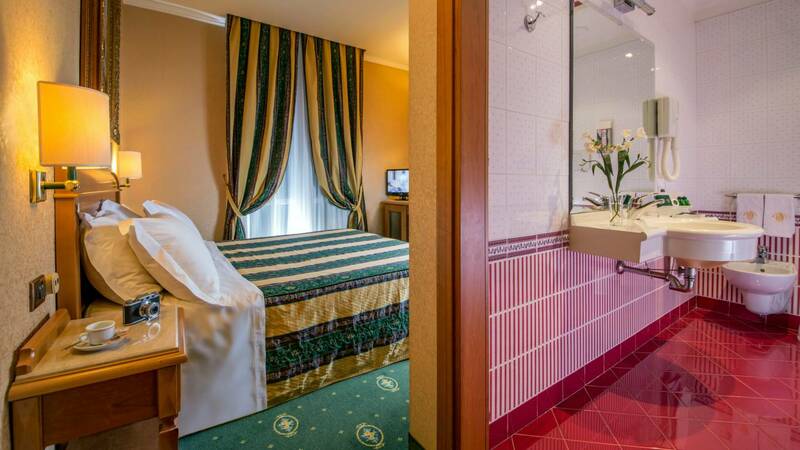 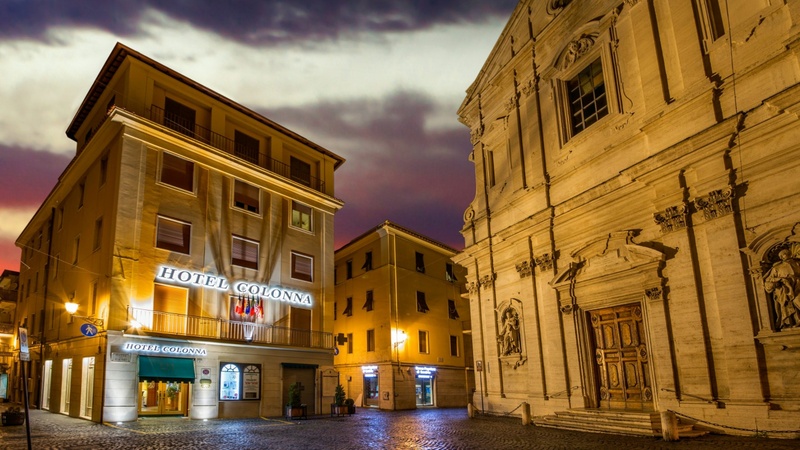 The Hotel Colonna is only 50 meters away from Frascati train station, where the trains, every hour and in only 25 minutes, take you to the central station of Rome Termini. 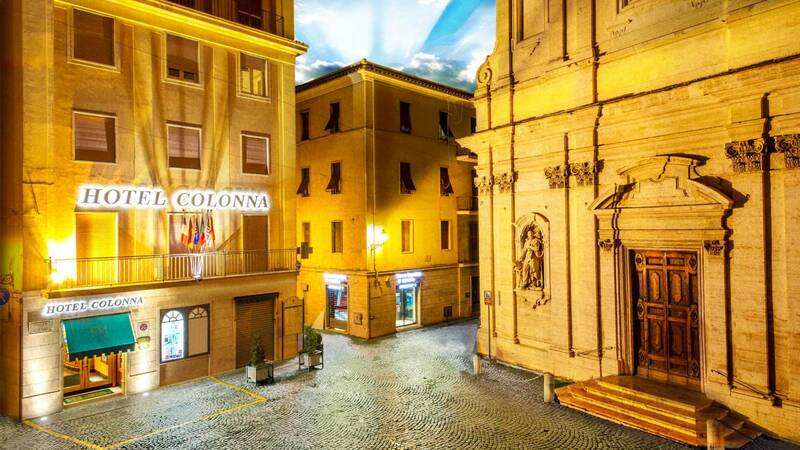 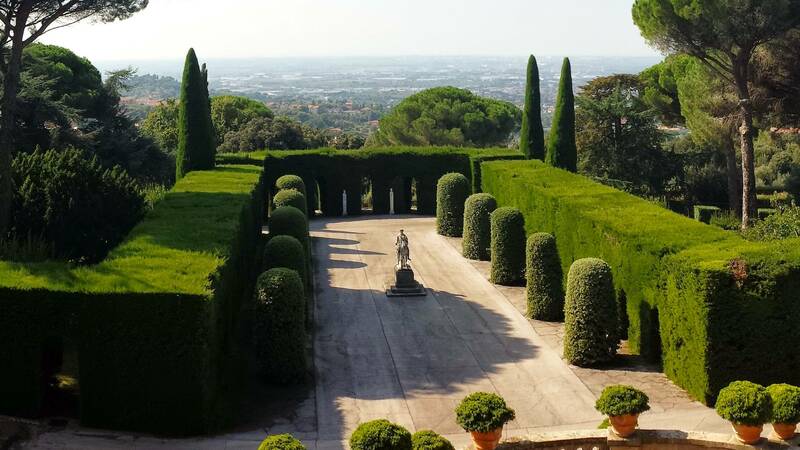 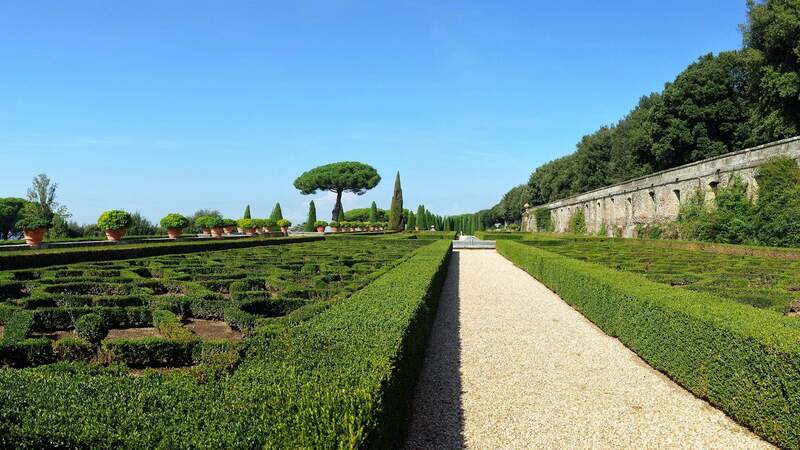 Over the years, Hotel Colonna, with its elegant and comfortable rooms and the warmth of its staff, has gained the trust of its customers, and, thanks to their loyal reviews, has placed at the top positions on the main booking and hotel-information sites (Tripadvisor, Booking.com, Expedia, Trivago, etc.). 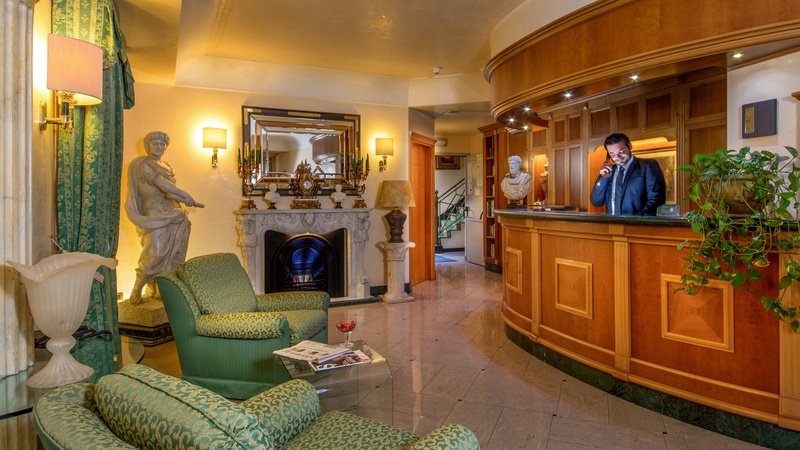 At your arrival, our courteous and skilled staff will welcome you in our hall, elegantly furnished and exclusively designed in empire style, and will able to satisfy all of your needs. 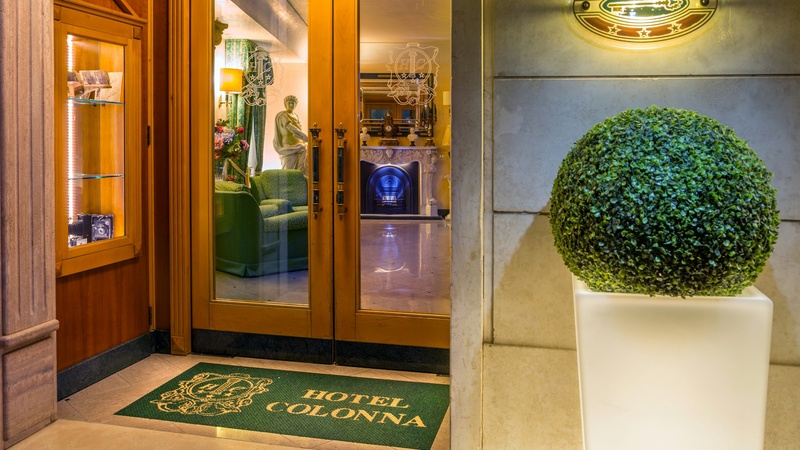 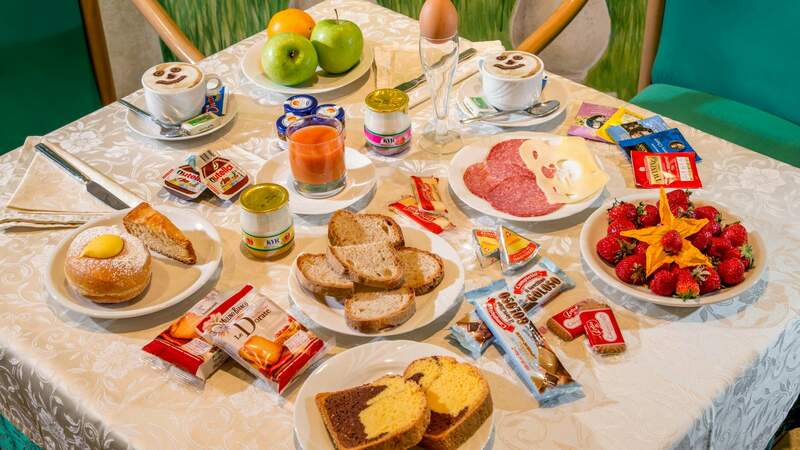 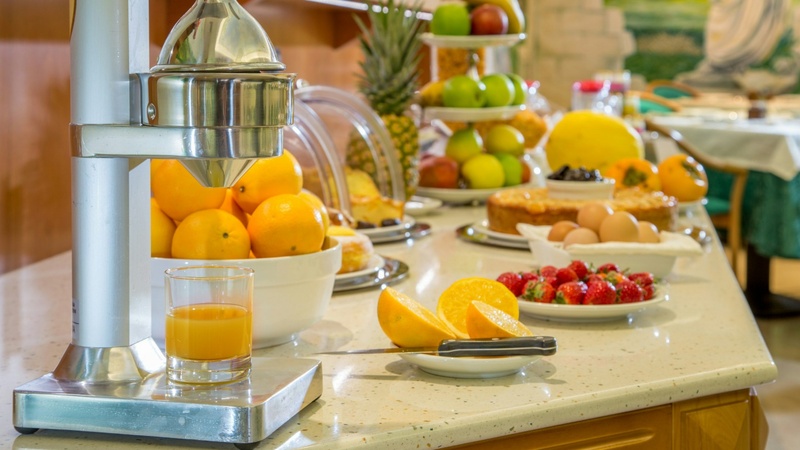 In order to meet the tastes of the italian people, and to satisfy the needs of our International clients, the Hotel Colonna offers a both sweet and savory menu, enriched with handmade pastries and espresso. 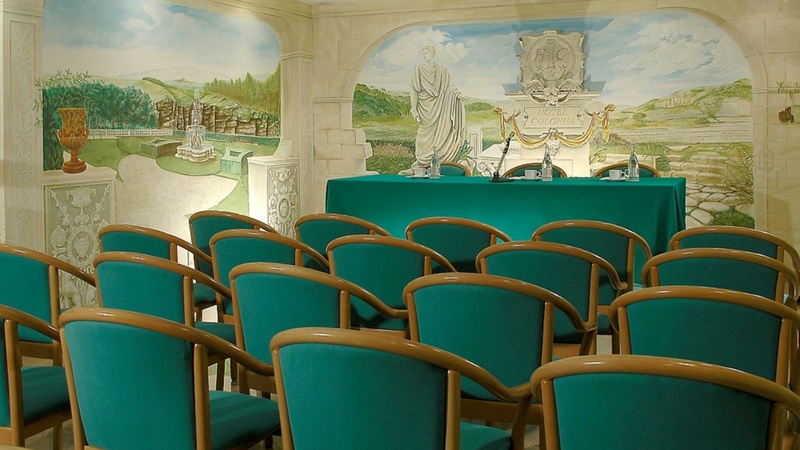 Breakfast will be served in a large room, elegantly furnished, and decorated with frescoes depicting the most important villas in Frascati, realized according to the trompe-l'œil technique.